A Secure & Homely Stay. ... We had the opportunity to stay in this beautifully maintained clean property in july 2009, when there was some disturbance The manager & the staff took all the pains to give us all possiblle support. Situated in the picturesque Valley of Kashmir – ‘The Paradise on Earth’ amid shades of the legendary Chinar Tree, ‘Hotel Sadaf’ – The Pearl, despite being a centrally located hotel , provides a sanctuary to all those seeking a secluded getaway, away from hustle & bustle of the City. Guests checkin in are welcomed with an uncompromising quality service and hospitality. 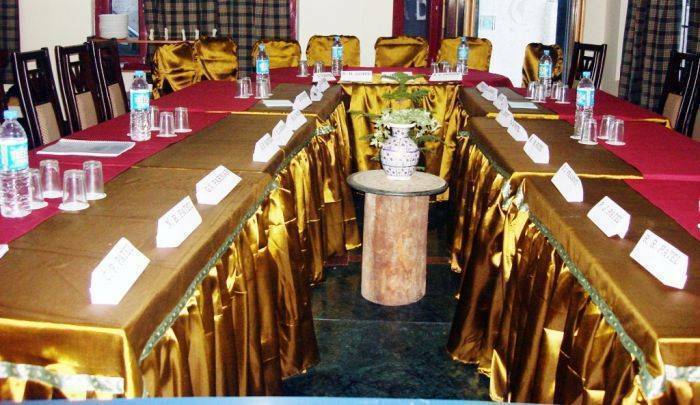 At a 3 minutes drive from the world famous ‘DAL LAKE’, 3 minutes drive from the Local Bus Stand(TRC – Tourist Reception Centre) & at a short distance of 7 kms, Hotel Sadaf is one of the closest Hotels to the Srinagar Airport(SXR). 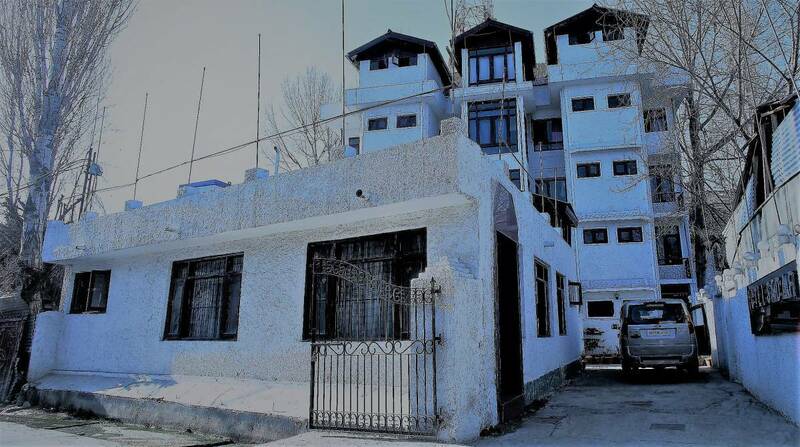 Hotel Sadaf exudes comfort, tranquility, and comforts guests with its cozy warm interiors in the freezing temperatures of Kashmere Winter & a COOL ambience in the moderately hot Summers of the Valley. The hotel has the valleys ‘ONLY PURELY VEGETARIAN RESTAURENT’ within its primesis, where our young but experienced team of COOKS is constantly churning out varieties of VEGETARIAN DELICACIES. LOCATION:-One of the best in its class HOTEL SADAF(THE PEARL) is an upcoming , two star hotel. 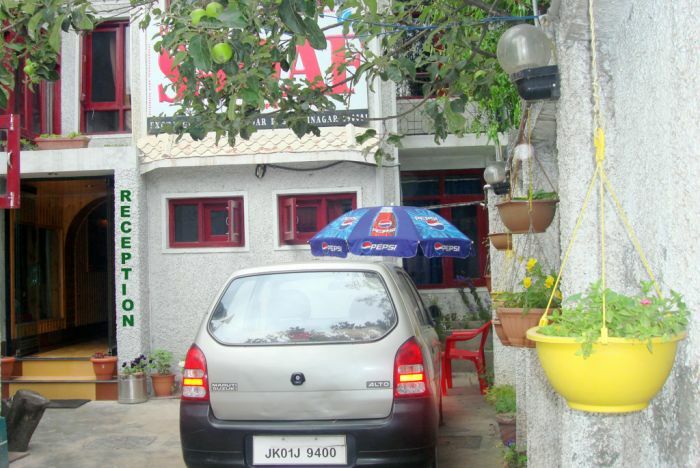 Ideal for both business and leisure, the Hotel is located in a central yet serene area of the city. 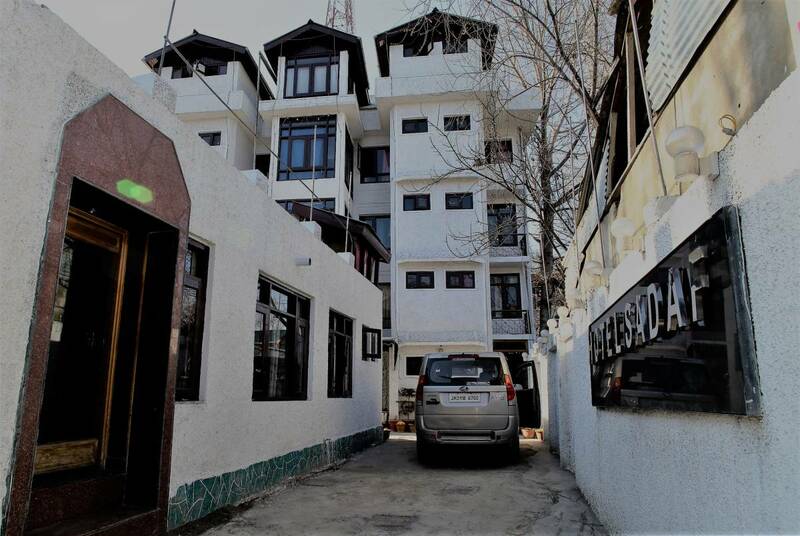 Built in the foothills of the famous Shankar Acharya temple, amid shades of the legendary Chinar tree, with plenty of oxygen loaded fresh air, the HOTEL is located at a short 3 minutes drive from the local bus stand(TOURIST RECEPTION CENTRE), 8 kms from the city Airport, 15 minutes walking distance from the world famous DAL LAKE. LOCATION DESCRIPTION:A:- From Srinagar Airport drive down straight to the REGAL CHOWK. Take a left turn beside the College of Education, onto the Bar Bar Shah Lane. After a mere 150 meters drive on Bar Bar Shah Lane, take the first left turn onto the EXCHANGE ROAD, Hotel Sadaf is immediately visible as a prominent Landmark. B:- From the TOURIST RECEPTION CENTRE(TRC), move onto the Maulana Azad Road, upto the Regal Chowk. Take a RIGHT turn beside the Womens College onto the Bar Bar Shah Lane. Take the first left turn onto the Exchange Road, Hotel Sadaf is immediately visible as a prominent Landmark. 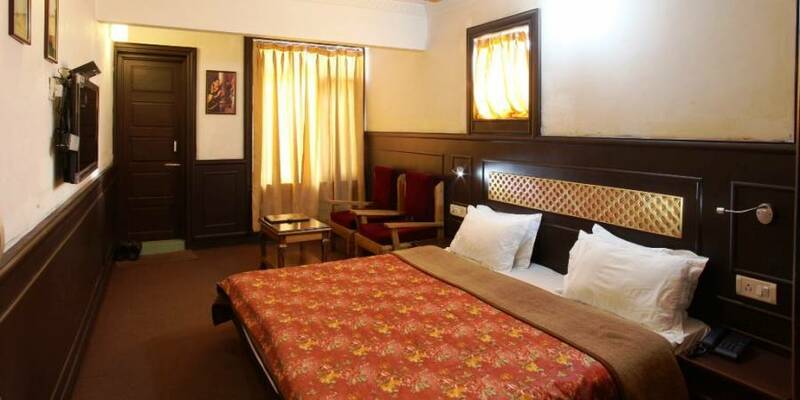 We boast of six different categories of rooms to give a wide price range to our guests to choose give maximum comf For a warm and cozy stay in winters all our Rooms can be fitted with Hot Air Blowers and also electrically heated bedding. Situated in the picturesque Valley of Kashmir – ‘The Paradise on Earth’ amid shades of the legendary Chinar Tree, we at ‘Hotel Sadaf’ – the pearl, despite being centrally located , provide a sanctuary to all those seeking a secluded getaway, away from the hustle & bustle of the City. Breathtaking panoramic views of mountain ranges surround our guests as they are welcomed with our uncompromising quality service and hospitality. 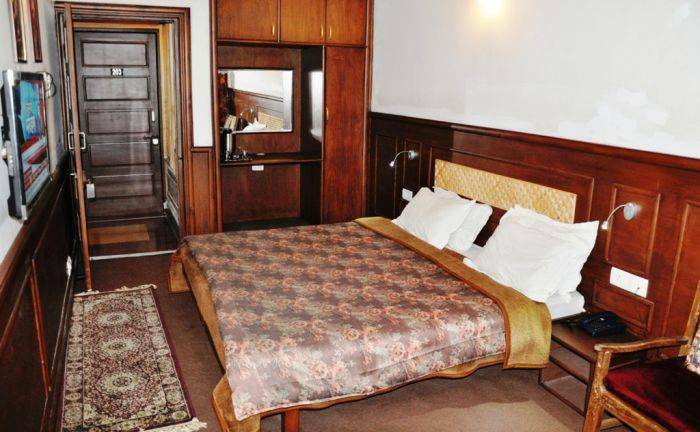 We are at a 3 minutes drive from the world famous ‘DAL LAKE’, 3 minutes drive from the Local Bus Stand(TRC – Tourist Reception Centre) & at a short distance of 7 kms, we are one of the closest Hotels to the Srinagar Airport(SXR). A 24 hr Front Desk, a complete Business Centre with broad band facility , SPECIAL NO SMOKING ROOMS, newspapers, luggage storage , standby generator facility and a restaurant, where our young , experienced cooking team is constantly churning out different dishes to satiate your buds. SERVICES: 24 hr Room Service, Laundry, Dry cleaning, Doctor on call, Travel Desk, Taxi Service, Airport Shuttle. Guest Parking:-PLENTY OF GUEST PARKING BOTH ONSITE & OFF THE SITE. 2: Credit Cards-Master Card, Visa. 1:For No Show Full cost of the Stay chargeable. 2:Cancellations within 48 hrs to the check in date & time 1 nights stay charges would apply. 3:Cancellations 48 hrs before the check in date/time no charges wd apply. A:- From Srinagar Airport drive down straight to the REGAL CHOWK. Take a left turn beside the College of Education, onto the Bar Bar Shah Lane. After a mere 150 meters drive on Bar Bar Shah Lane, take the first left turn onto the EXCHANGE ROAD, Hotel Sadaf is immediately visible as a prominent Landmark. The Hotel has its own travel desk where in all sorts of Tour/Transportation related services are rendered free of cost.